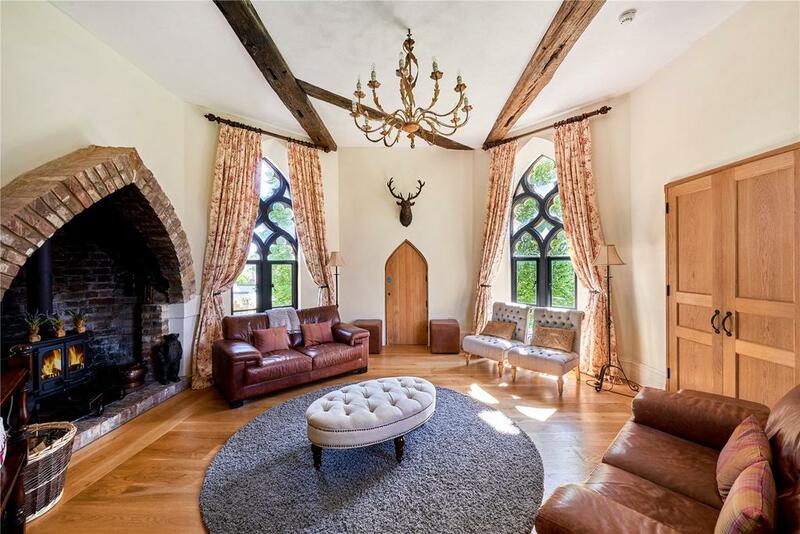 Hadlow Tower in Kent is 6ft taller than Nelson's Column – and while on the outside it's pure gothic fantasy, inside it's a spectacular family home which is now up for sale. 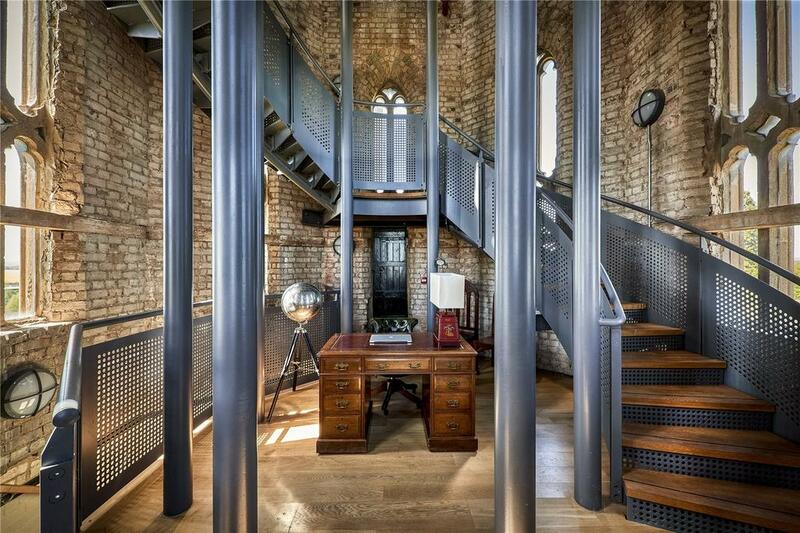 There’s something marvellously bonkers about the Victorian folly. This deliciously eccentric 19th century craze saw everything from giant pineapples to faux-classical ruined temples constructed for the purposes of everything from showing off to providing employment for local artisans. At Hadlow Tower in the village of Hadlow, near Tonbridge, construction was for a very different reason: jealousy. That’s the story which flew around the village, at any rate, when local landowner and merchant Walter May had this beautiful tower built shortly after his wife had left him for another man. May’s father (also called Walter) built Hadlow Castle in the late 18th century – a chunk of which was sold last year – but the tower itself wasn’t built until 1838, apparently so that he could keep tabs on his wife and the nearby farmer she’d taken up with. May still wasn’t happy: it turned out that it wasn’t quite tall enough for his purposes, so he had the 40ft lantern added to the top. It’s the lantern which took the tower’s height up to 175ft, roughly 6ft more than Nelson’s Column – which was actually built slightly later. 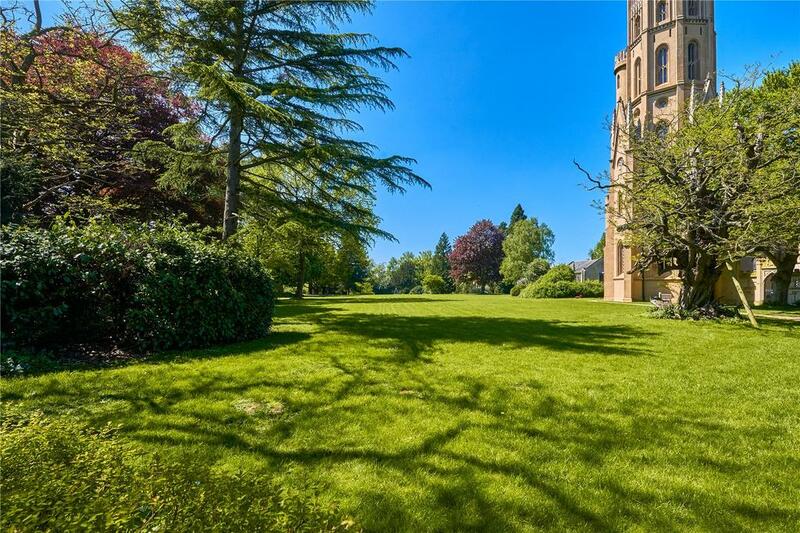 But while Nelson’s Column has that prime Central London location going for it, Hadlow Tower has something very different: just under 3,500sq ft of living space, including four bedrooms, and lovely grounds in a beautiful part of the world that’s an easy commute to London. 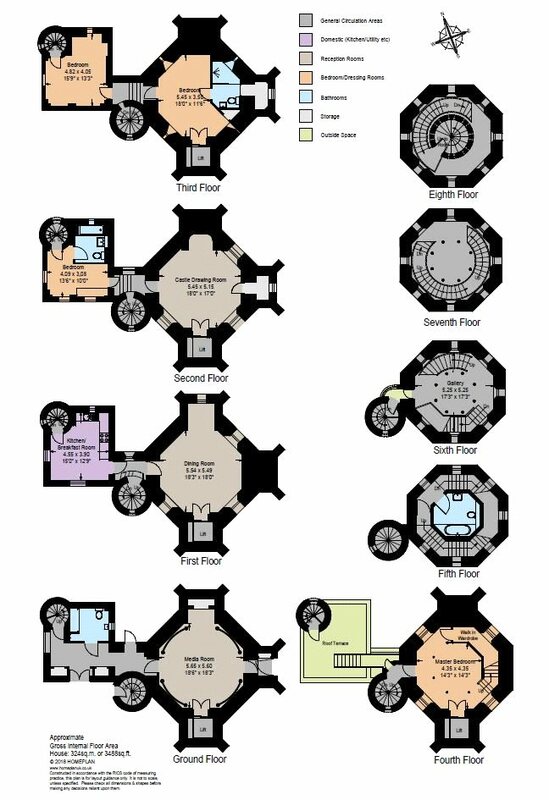 The home is laid out over eight floors – we’ve reproduced Strutt & Parker’s floorplan below – and very sensibly, the main accommodation is spread across the lower tiers. There are four bedrooms in all, the pick of which is the fourth floor master bedroom with walk-in wardwrobe, direct access to the roof terrace on the ancillary tower, and its own private bathroom above. In addition the tower has a drawing room, dining room, kitchen/breakfast room and media room which is on the ground floor. If you’re worried about climbing that many stairs to get to bed after watching a film in the evening, fear not: there’s a lift connecting that home cinema to the master bedroom. 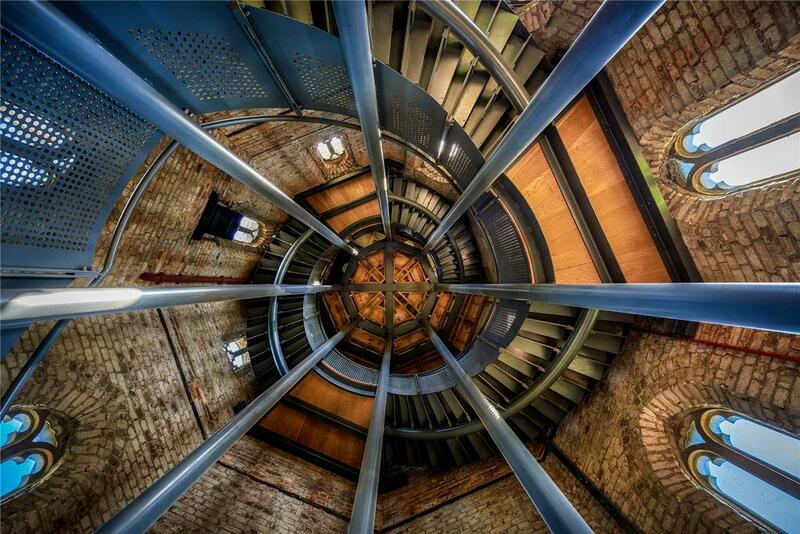 That lift only goes as far as the fourth floor, so if you wish to get any further up the tower you’ll have to use the beautiful, modern spiral staircase. Do so, and you’ll come across the 6th-floor gallery: a glorious space that’s probably the grandest home office in Britain.  The quality of the finish in the tower will be obvious from the images on this page. After years of lying semi-derelict after the war, the Vivat Trust bought the place in 2010 and spent millions refurbishing the place with a series of grants from National Heritage Lottery Fund and English Heritage. Sadly, the Vivat Trust went into liquidation shortly after the £4.5 million project was finished – which is how the current owner, Christian Tym, bought it for just £425,000. 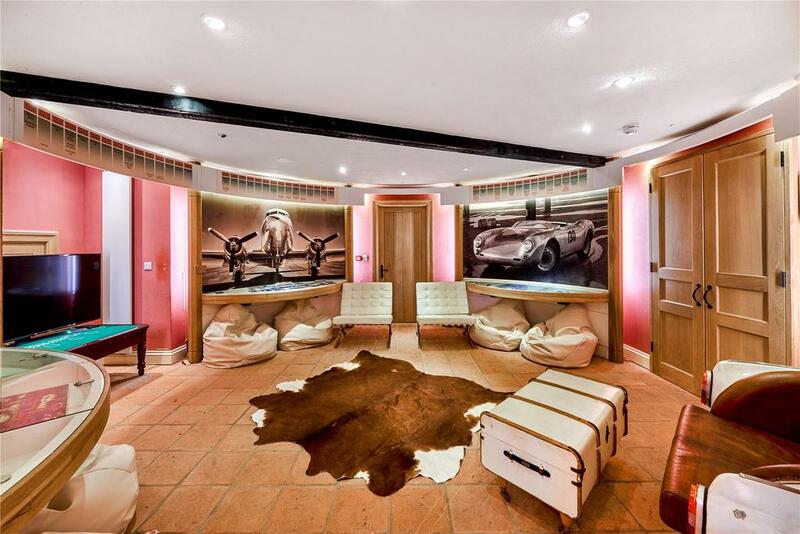 Having lived in the place with his family – and occasionally renting it out as a holiday let – he is now selling up for £2m. 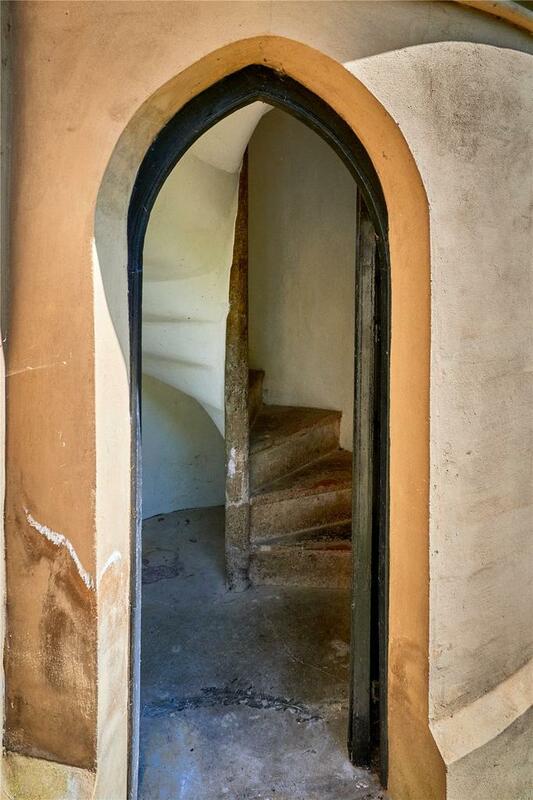 As you might expect of a place that has had so much restoration funding, there are covenants attached for this local landmark – most notably that it has to be open to the public 28 days a year. It sounds onerous on the face of it but probably isn’t – apparently (and slightly surprisingly) the vendors tell us that nobody has actually come along on one of open days since they owned it. 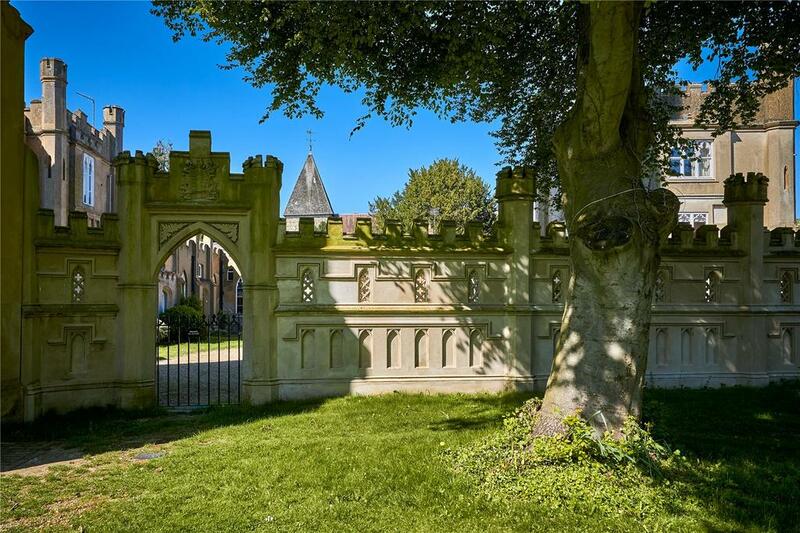 As well as the tower itself, the purchase price includes just over half an acre of private garden plus access to the 3.45 acres of communal grounds shared with other properties which form part of the Hadlow Castle. Those grounds include a croquet lawn and a boating lake. 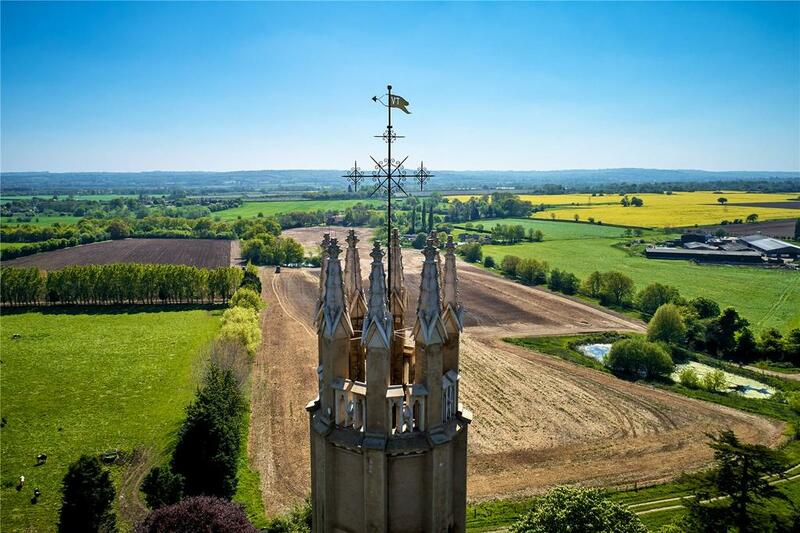 Hadlow Tower is for sale via Strutt & Parker at ‘offers over £2 million’ – see more pictures and details. Royal portraitist Bernard Hailstone once enjoyed this handsome house.